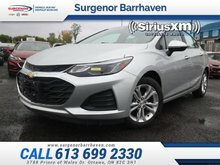 Every Regal comes equipped with a Bluetooth, heated front seats, rearview camera, a smartphone app integration, Buick’s IntelliLink infotainment system with an 8-inch touch screen display and an advanced version of OnStar with 4G Wi-Fi hotspot. 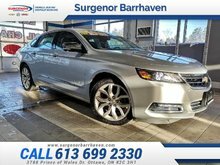 Optional features include a sunroof, navigation, push-button start, a rear cross traffic alert and a Bose premium sound system. 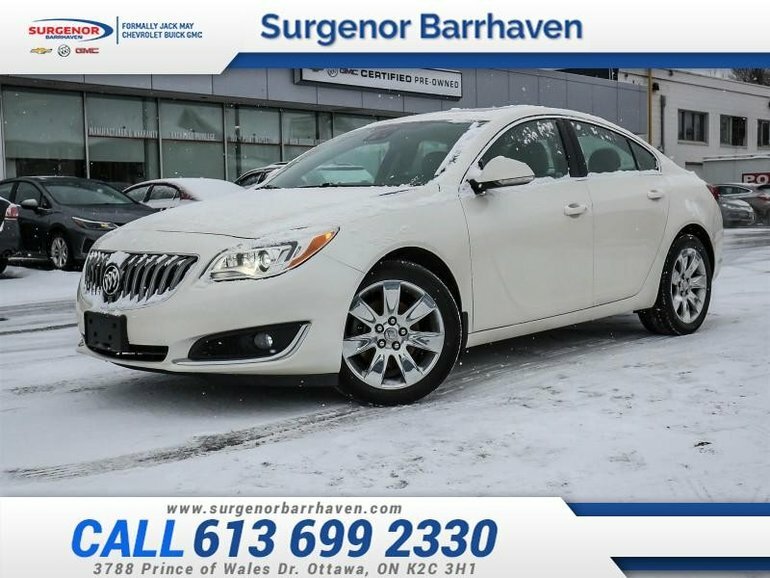 This 2015 Buick Regal is for sale today in Ottawa. 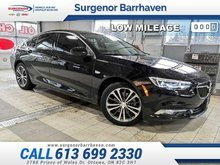 The Buick Regal is a great choice for those looking for an affordable yet well-appointed mid-size luxury sedan. With sophisticated styling and an agile suspension, the Regal proves that it's competitive with European rivals. On top of an engaging driving experience, it's packed with premium features and craftsmanship. The design and materials are all high quality and are sure to impress. 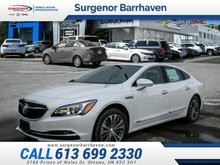 For an entry-level luxury sedan, the value of the Buick Regal is unbeatable. This sedan has 79638 kms. It's white diamond tri-coat in colour. It has an automatic transmission and is powered by a 2.0L I4 16V GDI DOHC Turbo engine. It has some remaining factory warranty for added peace of mind. Interested in the 2015 Buick Regal Premium II - $139.10 B/W ? $31,574 * Plus HST and licensing. Freight & Fees Included.